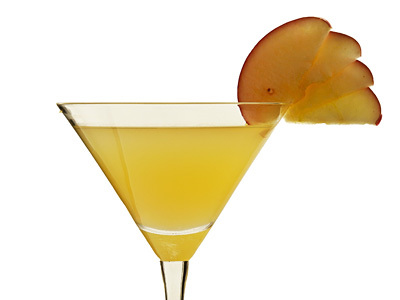 Apple cider is best enjoyed when mixed with vodka to make apple cider martini. Learn how to make sweet and soothing apple cider cocktail for your holiday parties by following directions and tips given in this recipe. Fill up cocktail shaker all the way through half with crushed ice. Add all liquid ingredients in cocktail shaker and shake until icy chilled. Strain and pour mixed drink into chilled martini glass. Slide in the apple slices on the rim of glass as shown in photo for extra festival cheer and serve. Increase the quantity of vodka to 60 ml (2 oz) if you like stronger martini. To make traditional sugar-cinnamon garnishing, dip rim of the glass in lime juice and then dip it in the mixture of fine sugar and ground cinnamon. 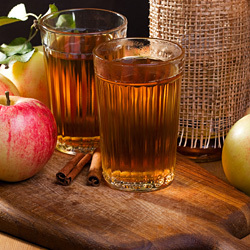 Use homemade cider for fresh apple taste. Serving Ideas: It is a perfect holiday cocktail to enjoy during fall and winter festivals like Halloween, Thanksgiving, Christmas and New Year.